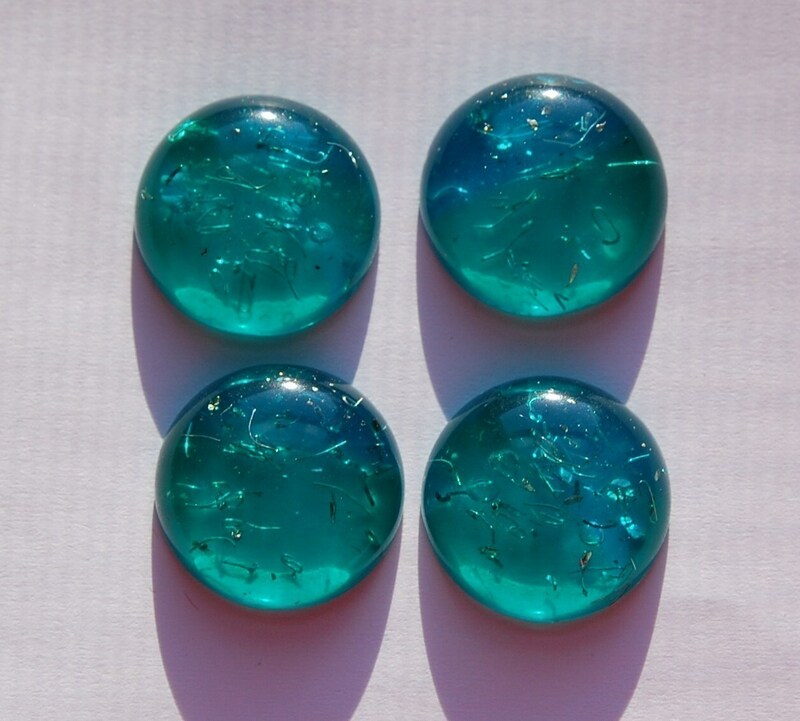 These are vintage lucite cabochons. 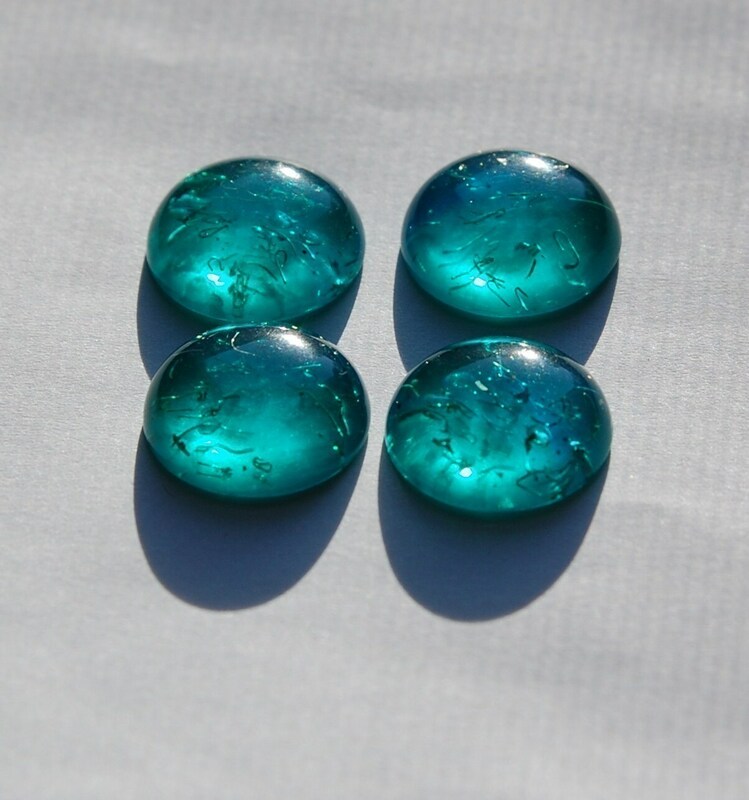 They are 2 tone, mainly green with a strip of blue, this is very cool as the color looks different in different lighting. There are pieces of confetti or glitter floating within. These measure 18mm. You will receive 4 of these.